Some big names from the past and present are involved in this weekend’s harness features around North America. Older pacers and trotters of the first degree meet at the Meadowlands and New Jersey Sires Stakes (NJSS) and Pennsylvania Sires Stakes (PASS) for soph pacers bring to the limelight some of the cast of this year’s glamour-boy-and-girl pacers. Of course, there are soph trotters from both divisions of sexes on Friday, May 17, testing their divisions at three racetracks. Those races will be covered in this week’s Hambletonian Trail blog, brought to you exclusively by TwinSpires and the Hambletonian Society. 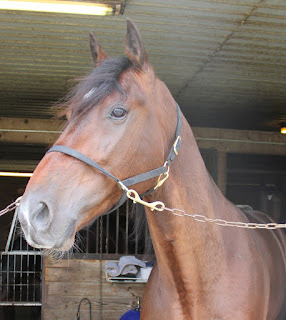 Speaking of exclusive, more harness horses to watch (H2W) appear on our weekly list from tracks around North America. As well, the TwinSpires’ 10-percent bonuses for winning the Pick 4 on Saturday nights at Hoosier Park throughout the harness meet, and double points plus (click here). Check out the Hoosier details here. The four-year-olds, members of last year’s Hambo group, have some work to do to keep up with the older few here, so we will let them all go so we can zero in on a good bet—Mister Herbie. We liked Mister Herbie last week even though he needed that race to rev up for a season of jousting in the big leagues. He will probably be third choice or worse under the circumstances and those may be the best odds we will see for him in a long time. The $100,000 Meadowlands Maturity for four-year-old male pacers holds a star-studded debut on May 18. The return of A Rocknroll Dance is part of the agenda, along with debuts by Bolt The Duer and Dynamic Youth. Two of the cast already have sub-1:50 miles to their season. They have all challenged one another when they were glamour boys but in horse racing the time between seasons could be an eternity. Look at Hurrikane Kingcole, who we all loved at three, when he was too fast for his own fortune. At four, already, he has won one and been second in two outings. Considering that experience, he will be favored over the more popular names from 2012. Those names are yet to be etched as successful at four. A Rocknroll Dance is questionable, since his soundness was an issue in the last half of his soph season. Bolt The Duer was an opportunist at three but he could be better at four if he is more aggressive. Mel Mara played co-star to the aforementioned and others in a crop which was extremely competitive. For instance, Sweet Lou is here for his second mile at four. Who could forget how he was annointed as the soph champ last year before proving he was better matched at three than he was at two? Hillybilly Hanover may have grown more legs and Dynamic Youth was always a threat, though he rarely won a battle. And Warrawee Needy has come back at four with firepower, sending flares to his foes with a 1:48.3 win already this year. No sound bettor would pile money on the side of any one entry here due to the plethora of questions these four-year-olds present in 2013. All we can suggest is taking good notes for future contests, while on the betting front it is highly possible some huge overlays are hiding but may only be answered in retrospect. We liked “Hurrikane” last year and we like him now but he is likely to be the choice in this event. First, we visit the Meadowlands on May 18 for NJSS. Sophomore pacers are ready to rock and literally, many are Rocknroll Hanover products as the hoof beat goes on, so to speak. Johny Rock is here for his second roll around the oval and Breeders Crown-winner Rockin Amadeus steps into his three-year-old skin for some stakes exercise. Lets Rock Together, Rock Star, He Rocks The Moon and Rocky Mountain Guy assist in making the 10-horse NJSS colt field. Rockin Amadeus has every right to win at first crack and with a bit of luck the crowd will favor Johny Rock, since he has traveled once already and showed winning ways. Watch the odds and beware of Lets Rock Together for any upsets that may surface. “Together” is showing signs of being a true player this season and may be disregarded by the crowd. More rocking, so to speak, shows up in division two and we like Rocnrolwilneverdie to topple the Tony Alagna couple, especially Emeritus Maximus, that is two for two so far. Next, to Pennsylvania Sires Stakes (PASS) at Pocono on May 19 for soph-colt pacers. No doubt the focus here is the return of Captaintreacherous. He debuts at three in the third PASS of the program and comes from a 1:51 qualifier. His competition seems moot here, in one of four $62,587 state-bred contests. How can we bet him and how can we bet against him? It is up to Captaintreacherous to prove he won’t be dominating this division and we have to watch a few to see if he has what it takes to be the monstrous colt he was at two. In the first division we like Martini Hanover, who got his first race at three under his belt and should be raring to go in this, though you will have to judge the value in odds. In the second division we like Teresa’s Beach, who should have gotten the kinks out of his frosh campaign. We liked his first race at three and give him a good shot here, certainly a better one than we expect the public to offer. In round four, we will suggest Bigrisk over Twilight Bonfire, that one debuting in the division. Bigrisk seems ready and should be an overlooked contender. Review our choices and follow the wagering at the prescribed track to decide how you will use the information. An “ae” signals the horse is entered but on the also-eligible list (so it might not get into the race). Multi-horses may be listed in the same race. Horses from previous lists that are not racing have a NR after the name on a separate line from dated entries.